Kaetsu Area is northern part of Niigata Prefecture. It has Sea of Japan on west side and Echigo Mountains on east side. There are many Sky resorts and lots of Onsen. Kaetsu has a great seafood as well, especially salted dry salmon is the popular Kaetsu delicacy. Niigata city is belong to this area. It is one of the heavy snow region in Japan. In winter, there is heavy snow that reaches meters high. 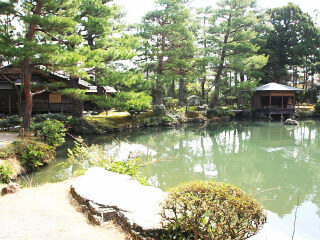 Shibata and Murakami also remains many original Samurai Houses. Also, the coastal line has a beautiful scenery. Especially, Sasakawa Nagare is registered a national scenic beauty. Use Kanetsu Express Way to Hokuriku Express Way. Exit at Asahi-mahoroba. Use Joetsu Shinkansen to Niigata Station. Use JR Hakushin Line to Shibata Station. Change to JR Haetsu Line to Murakami Station.